No risk. No obligation. Free TrialNo registration required for 30-days trial. 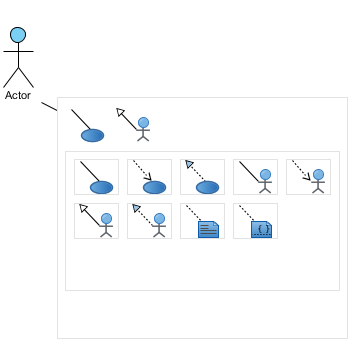 Capture user's requirements by focusing on who (actor) want to do what (use case) with the system. 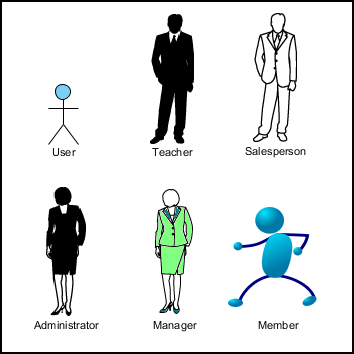 Identify functional requirements through users' scenario development. Use case analysis is a well-proven technique for identifying the main functions of a system, communicating systems requirement with teams and your clients easier, faster and making ideas much clearer. 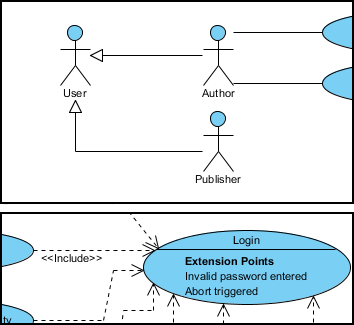 We supports the latest notations as specified in the OMG UML Specification and the resource-centric user-interface lets you compose and modify use case diagrams faster and much easier. No menu bar, no dialog box and no more form filling! 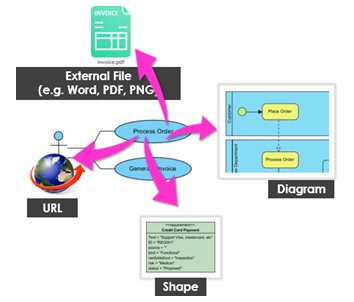 Edit right on the part of the diagram with our award-winning visual modeling technology that you can't find elsewhere! Resource Catalog provides quick way to creating shapes, enabling you to concentrate on designing instead of figuring out how to use the software. You can express ideas accurately and effectively without being distracted. Attach external sources for annotating the use cases with ease! Let your use cases becoming a resources and documentation placeholder, no matter it is a file, folder, URL or another diagrams. Design and tailor your own style of diagram with custom images, making it more eye-catching, comprehensible and impressive. There are many formatting options that let you make your design more attractive. You can set the background of shapes, with solid or gradient color, or to change the font style, line style, etc. 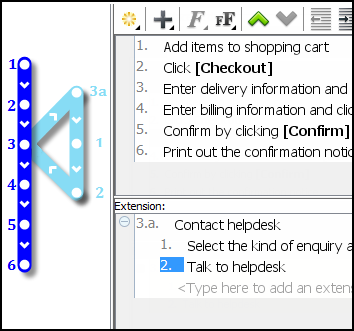 Identify and document the interactions between use cases and actors with flow of events editor using normal flow, or alternative flows modeled by an extension point. 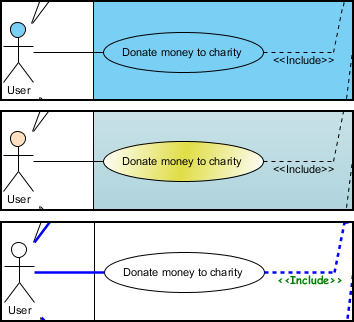 A use case consists of one or more scenarios that tell how a piece of system functionality can be used. 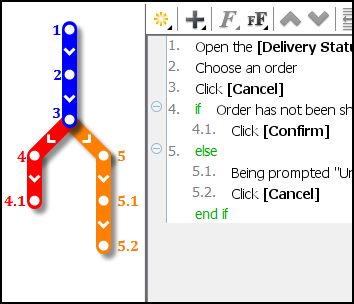 Visual Paradigm supports a powerful flow of events editor which let modeling those scenarios presented by flow of events specification for documentation, and document generation. The flow of events editor is where you can fill in the flow of events of a use case. 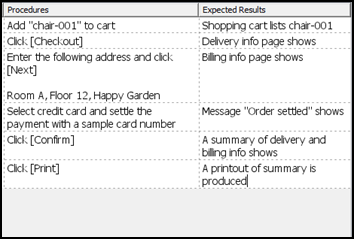 Input the events in order, show nested events with indentation and emphasis keywords by applying formatting properties like bold, italic and font color. You can reference an URL, actor, another use case or requirement by adding hyperlinks in it. 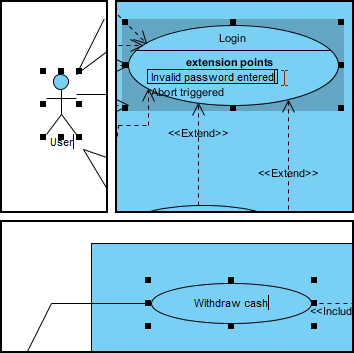 Extension exhibits optional execution path (behavior) of a use case while executing the main flow which is an additional path may or may not be traversed into, depending on certain condition. In addition to describing the flow of events, you can define the way to examine the events by specifying the per-event testing procedures and expected results. With a well defined testing procedure set, this ensures that your use case will be executed as expected. While general flows can be described with a sequential flow of steps (say, from 1 to n), you can make use of clauses like if-then-else, for-each, loop-until to describe conditional flow or looping. 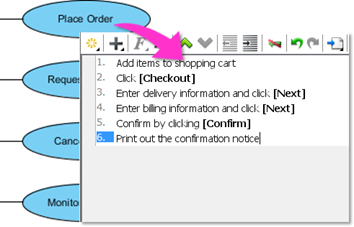 These clauses helps to structure use cases for subsequent development phases such as elaborating it into an activity diagram and set of sequence diagrams. 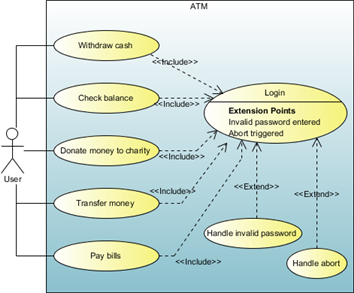 The flow of events of a use case can be visualized by an activity diagram and it could be generated in just a single mouse click. 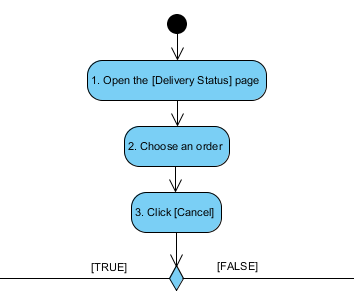 This is not only a diagram generation function, but also an important step to produce the initial behavioral model - activity diagram for the design phrase from a use case model.